NO09 Torafu Architects How would you turn Roppongi into an area of Design & Art? Based on "architectural thinking," Koichi Suzuno and Shinya Kamuro of Torafu Architects work in a wide range of areas including the interior design of houses and shops, as well as product design and stage art work. The two have a sensitive and serious air, but contrary to the impression they give, their ideas are remarkably dynamic and unique, revealing flexibility and a sharp perception for what is essential. The architects are also experts in city development. What steps would they suggest for Roppongi? We were interested in knowing their thoughts. First, they began by talking about the "Gulliver Table" presented at the 2011 "Tokyo Midtown DESIGN TOUCH" event. SuzunoLast autumn, we made a 50-meter-long giant table called a "Gulliver Table" on the lawn of Tokyo Midtown for the "Tokyo Midtown DESIGN TOUCH" event. The cross-section is linear, but because the ground has slopes, each leg of the table is of different height. In some places, the top surface becomes the floor, and in other places, it becomes the roof; it's a rather unusual structure. A work that was exhibited on the lawn of Tokyo Midtown during "Tokyo Midtown DESIGN TOUCH 2011". The flat wooden structure was like a gigantic picnic table. Because of the sloping ground, one end of the structure can be used like a table while the other end becomes a roof. During the event, workshops for children were held. There is this expanse of lawn - which doesn't really have a specified purpose - right in the center of a densely populated city. I thought this expanse of "emptiness" was very appealing, and I wanted to give all kinds of people an opportunity to be more actively involved with the lawn. KamuroThe mere presence of a huge table outside can make people want to spend their time on the lawn; they might think "Perhaps I'll buy a lunchbox and eat outside," or say, "Let's drink wine outdoors on the weekend." To an elderly man, the table will be a good place to take a rest and to a small child, the table can be used like playground equipment. It's actually very important to have places where people can spend their time as they please, without being tied down by rules. I think we need more places where all sorts of people can connect with the town without having any specific purpose. I think it might be interesting to have this "Gulliver Table" in other places too. When this flat table was placed on the lawn at Midtown, it became an instrument to make people aware of the landscape, because it made the sloping contours very visible. So the table functions almost like a ruler. By setting up something with a certain uniformity and regularity, one becomes aware of the characteristics of the environment. It would be interesting if a structure like the Gulliver Table was suddenly installed in the hilly streets of Roppongi; it would make the place look different and people would see a landscape through new eyes. SuzunoIt's interesting how the table is like an instrument that allows you to become aware of things. It requires very little manipulation and yet it gives you a new perspective; it enhances the presence of what already exists. There are many kinds of buildings in Roppongi, but it might be a good idea to have an installation that helps us to remember the original landform. KamuroWe had a book published in May this year called "Torafu's Small City Planning". It contains our ideas for relatively small moves such as setting up instruments in the city which will renew relationships between things. The Gulliver Table is huge for a table, but compared to large-scale city plans such as planning city blocks and streets, these are really very small, simple steps. It's city planning on a very small scale - just quietly placing an installation here and there, that's all. But that kind of thing can dramatically change way people interact in a city. SuzunoThere's a bookshop in Jimbocho called "Nanyodo" which specializes in books on architecture; we built bookshelves on the outer walls of the store building. We inserted removable shelves into the grooves of the wall to hold books. Until then, for the people walking by, the walls were just forbidding walls of a building that belonged to someone, but after the bookshelves appeared, the walls came to be shared as if they belonged to everyone, and the entire street became like a library. The "skydeck" handrail apparatus for verandahs and terraces is also something that we designed that requires little fuss and yet brings a new relationship between things. Japanese terraces may be so small that they don't have space for a table, but just by fastening the "skydeck" on the handrail, it's possible to expand space and come up with more ways to use space. It's more fun if there are things in a town that personally connect you to it. Instead of just passing through a town to get from one destination to another, it would be nice if there was a spot where you could stop to leaf through a book, or a place with a different atmosphere where you can sip tea; such places make a town appealing and we need more of them. An observation deck in Tokyo Midtown? SuzunoI'm very interested in the aspect of perspectives. Sitting here in Midtown, I can look down on the town from above, and it's lovely. From here (the meeting room of Design Hub on the 5th floor of Midtown Tower), you can clearly see the Japanese garden at Hinokicho Park at the far end of the lawn. When you are walking on the ground, you wouldn't imagine that there is so much greenery. It's not necessarily a good thing to look down from a tremendous height because then the landscape becomes like a miniature and loses its reality. I think the view you get from this height is very good for observing a lot of things. The Japanese garden in Hinokicho Park, a municipal park of Minato City. A Japanese garden built on the former site of the "Shimizuen" garden at the residence of the Choshu Domain's Mouri family. It is a relaxing place, lush with greenery that changes with the seasons, and when one is there, one forgets that one is in the middle of the skyscraper-filled city. Kamuro I think it's possible to change things through naming. If the aim is let people look at the landscape from above, then you could call this meeting room on the 5th floor, an "observation deck". With a name like "Midtown Observation Deck", people might say, "Let's go to the observation deck in Midtown." They would come here and see that it's not very high, but still find it rather interesting. So you don't need to build a new observation deck. You just need to think of a way to draw people to a room which has a great view. SuzunoInstead of taking the "scrap and build" approach (building new architecture to replace old ones) to change a town, you can bring about change by changing the way people look at the town. When you take that approach, there are so many things that could be done right now. When I was a student, there was a time when I would walk around the streets of Tokyo with a map for architecture in my rucksack. It was an experience that suddenly made architecture fascinating for me. On the map, there were names of both famous and non-famous architecture, and I would ponder about the concept behind the various buildings. And by visiting all the different buildings, I got the chance to walk the backstreets and go to places I had never been to before - it was fun. Because of the architecture map, the whole city seemed like an architectural museum to me. In the same way, when I walk the streets with a friend who knows a lot about plants, I suddenly begin to feel like the whole place is like a botanical garden. By acquiring just a little bit of expert knowledge, you can get a different perspective, and your view on the world becomes richer. KamuroThe important thing is the angle. We already have ample content. I mean, Roppongi has so much that it hardly lacks anything. So the question is, what do we pick up from all that we have, and how should we look at them? I think the ability to edit things is what is needed in city development now. SuzunoSpeaking of maps, there's a social project called "Fruit City" which British designer Vahakn Matossian is undertaking in London. A map has been made of the edible fruit growing on trees in public parks and roads. It's interesting - they are suggesting ways to use the fruit and the tools to pick the fruit with. Just by calling London a fruit city, and going out with a map in your hand, the streets can look totally different and abundant. KamuroPerhaps if there was an original Midtown map, people might be able to more deeply appreciate Roppongi. The map could be about plants or fruits, or perhaps you could have all kinds of angles and get supervision from specialists from each genre. 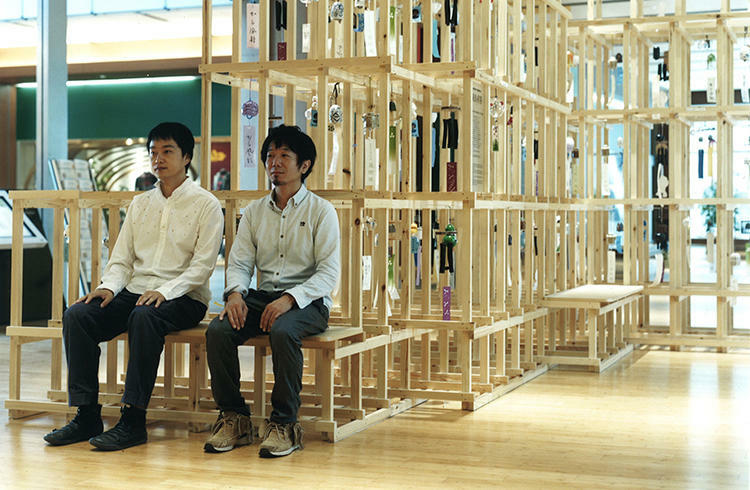 In the past, Genpei Akasegawa and others did a project dubbed "Thomasson" where they found art in things that have no particular use. If you were to make an architecture map, it might be interesting if you included not only the famous buildings, but also buildings that aren't used anymore, and observe them as art. SuzunoThe point is to connect all the locations - all the similar functions in the town - so that the adventure is not completed by just going to one place. In Roppongi there are many bookshops like ABC and Aoi Shoten. If the various specialized book stores - stores that specialize in the arts, literature, magazines and so on - could be connected with each other, then Roppongi as a whole will begin to look like a book town. We don't need all-encompassing places anymore that are complete in themselves. Instead of huge facilities that have everything, it's better if there is a network of small, individualistic places in a town which can be used by everyone. KamuroWe once designed a facility called "Run Pit". It's a facility to shower and change clothes for people who run around the Imperial Palace. The facility is not complete in itself; there are places that can be used all over the town. The presence of Run Pit makes the whole town look like a running course. It's inside the Palaceside Building where the Mainichi Shimbun is headquartered. It's really only a "dot" on the map, but this kind of place has the important role of acting as a base and connecting people with many other places in the city. A shower facility for running aficionados who run near the Imperial Palace. There are also powder rooms for women. Directly connected to the Takebashi station on the Tokyo Metro Tozai line, the facility is convenient to use for running practices before or after work. Won the Good Design Award in 2011. KamuroI just remembered something. The graduation work I did at university was designing a three-dimensional park for Ropppongi. I chose Roppongi because I'm from Matsue, Shimane and this location, where everything is mixed together, looked like very stimulating to me. SuzunoI didn't know that! Where in Roppongi? KamuroImoarai-zaka slope. The project was about setting up this lightweight structure called "park" in that triangular Y-shaped area. I remember walking around the backstreets and searching for flat ground in strange shapes and places that had been left behind in development. There was also a period when I worked part-time for Sakakura Associates. The office is located at the back of "21_21 DESIGN SIGHT"; there are so many trees there, it's almost like a wood and I remember being impressed by the environment. 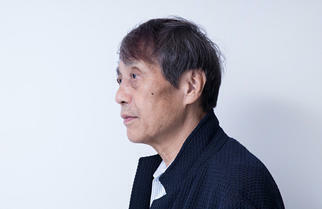 SuzunoArchitect Arata Isozaki has an office near Sakakura Associates. As an admiring student, I once came to look from afar at his office. Nowadays I often come to Roppongi to have talks with people at Mihoya Glass and Ishimaru, the design and construction company. The first floor of Mihoya Glass is like an ordinary glass shop you would find in any town, but on the second floor, there is a surprisingly wide range of glass samples, and on the third floor, there are works by the designer Shiro Kuramata - it's really like an art gallery. A glass shop established in 1909. Located on Roppongi St., between Roppongi and Nishi Azabu. Known as one of Japan's top glassmakers, with superior technology and manufacturing capacity. Makes glass for buildings such as department stores and restaurants, as well as creative works of designers and artists. KamuroThe shop is not open to the general public. Even when you are doing business with them, there's this atmosphere that they won't let you see the works so easily. But I was surprised when I saw the works for the first time. It's an interesting aspect of Roppongi that not very far from the shopping district, there is a glassmaker on the Roppongi St. with a 100-year-old history. SuzunoTorafu has been involved in designs of many things from architecture to small products like rings. Recently, I get the feeling that all of these things are connected - I feel that we are getting to understand the designs more deeply. Whether small or big, we always do our thinking from an architectural viewpoint; whenever we think of designs, we begin by looking for the site. The site is the biggest factor in architecture. You have to have the site. If you have the site, many things become clear such as how the light should be incorporated, or what should be done about the flow of air. When it's a project without a site, we take an architectural approach by assuming that there is the site; we ask questions about the conditions that have been presented to us and then we provide the solutions. Without asking questions, you lose sight of the purpose of design. We live in times where there are so many things, and there are a lot of people who say that we don't need more new buildings or things- they say it's enough just to use what was made in the past. Such are the circumstances and yet we have this wish to make things and be connected to society. That's why asking the right questions is very important. KamuroThere's always this option not to make something. So when we do decide to make something in spite of that option, we have to be very conscious about it and face the challenges. In that respect, I think ideas for renovation are valuable - ideas for bringing out the best in something that already exists or making improvements to something by adding a new element. Instead of being negative about the entire environment, we should think about what kind of things we could create to make the current environment better. Making connecting points with the town -which we were talking about a few minutes ago - and small city planning are both essential about ideas for renovation. The photo was taken in front of the "Furin Saisai" installation which the two designed. Colorful wind chimes from all over Japan bring refreshing tingling sounds of summer to Tokyo Midtown. The installations are on the 1st, 2nd and 3rd floors of Galleria, Tokyo Midtown, and will be in place until September 2 (Sunday) 2012. Born in 1974 in Shimane Prefecture. Graduated from the Department of Architecture at Meiji University's School of Science and Technology. Completed a master's course in architecture at the same university in 1999. 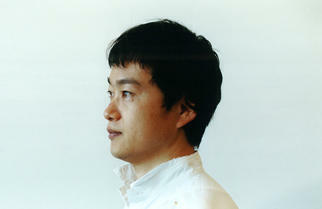 Worked at Jun Aoki & Associates before co-founding Torafu Architects with Koichi Suzuno in 2004. Co-owns the company with Suzuno. 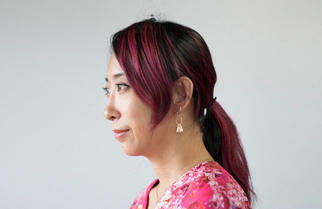 Currently a part-time lecturer at Showa Women's University. 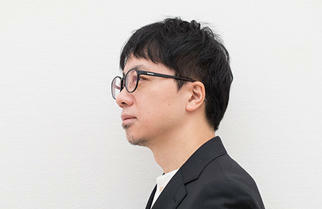 The number of works they have been engaged in total more than 100 and include "House in Kohoku", "House in Honcho, Meguro", "air vase" (product design), "NIKE TDS", "FREITAG Store Tokyo", (interior design), and "Natsumina" for minä perhonen (design for exhibition venue). "NEOREAL WONDER", an installation of lights using leveling strings attracted attention when exhibited at the Milano Salone in 2011. 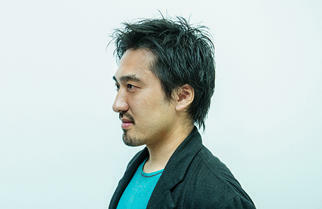 Born in 1973 in Kanagawa Prefecture. 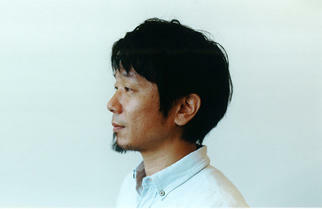 Graduated in 1996 from the Department of Architecture at Tokyo University of Science's Faculty of Engineering. 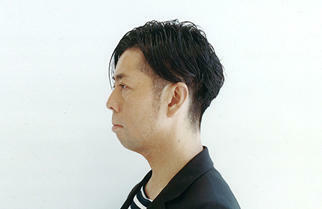 Completed a master's course in architecture at the Yokohama National University Graduate School of Engineering in 1998. Worked for Coelacanth K&H Architects and Kerstin Thompson Architects (in Melbourne) before jointly setting up an architect company Torafu Architects with Shinya Kamuro in 2004. Suzuo and Kamuro co-own the company. 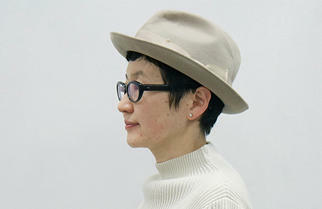 Currently a part-time lecturer at Musashino Art University and Tama Art University.